Officials of the leading game testing company GameCloud are soon to fly to San Francisco for taking part in Game Connection and GDC19. The company which offers end to end game testing services will also be exhibiting the Quality Check coverage for emerging gaming platforms during the meeting event and conference. San Francisco, CA, March 05, 2019 --(PR.com)-- All is set for the 2019 edition of the exciting Game Connection America and GDC to hold in San Francisco, and like every year, this year’s edition will also be graced by GameCloud Technologies Private Limited. The event is scheduled to start from 18th March 2019 and promises a host of rewarding deals and service demos for the prospects. Mr. Thipse, who has always been a passionate gamer all his life, further highlighted his organization’s readiness to break the norm of covering just the mobile platform of the industry by extending its reach to the upcoming techs, including Gesture Controlled Gaming, Virtual Reality, Voice Controlled Gaming, Wearable Gaming Gear, and Augmented Reality among others. 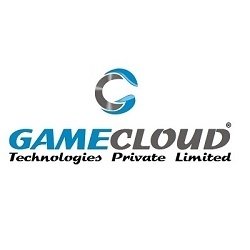 GameCloud Technologies Pvt Ltd enjoys a glowing reputation as a brand known for advanced quality check options on all major gaming platforms. The brand offers a signature 360-degree video game validation, applicable at each stage of the game development cycle, alongside the conventional video game quality assurance and quality control. The competitive prices of GameCloud Technologies Pvt Ltd for Game Quality Assurance services are accessible to video game development studios of all sizes. According to the CEO, this gesture is intended to help the beneficiaries(the game studios) to deliver the best possible experience to their consumers and players. “We know there are many fresh studios with amazing games but with little planning for quality checks. Be it damage control or preventive measures; we help all such studios with our proven methods around essential quality checks. In addition to Game Studios with matured QA process, we intend to reinforce the game developers who are seeking help in the area of Game Quality Checks. Just like every year, our team will be attending the events of Game Connection America & GDC to promote our robust game testing services. Game studios from various countries use our help to validate their games effectively and have a confident global release,” Mr. Thipse explained. GameCloud boasts of the contributions of a reliable team comprising top professionals across the gaming industry, who have over time played, tested, and validated more than a thousand video games. This experience and expertise have been leveraged continuously to deliver on end-to-end game testing services to every genre and platform in the industry. The company’s QA facility is packed with over 200 test devices to ensure that all its clients worldwide enjoy onestop solution and offer their end-users a seamless and exciting gameplay experience. The game developer conference is open to everyone, including the game enthusiasts who are interested in deliberating on the evolving trends in game QA industry. The meeting event will hold in both the AT&T stadium and the Moscone Center. Interested parties can book a time-slot for either venue on game QA discussions by sending a mail to GameCloud Technologies Pvt Ltd via info@gamecloud-ltd.com before 17th March 2019.